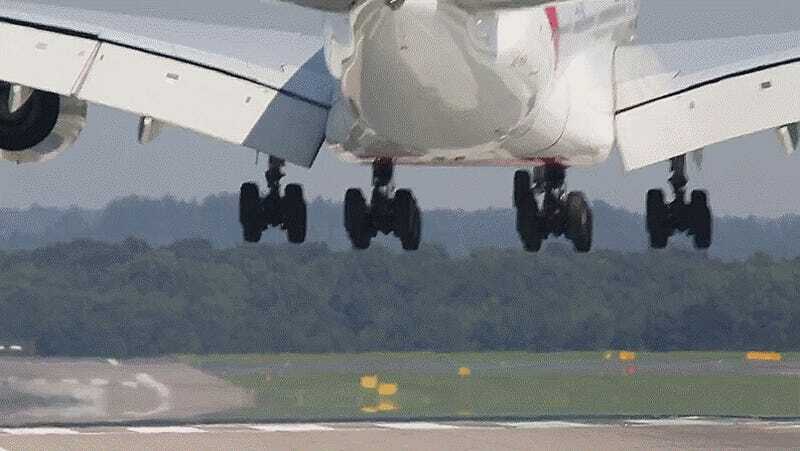 Two weeks ago, Flight Club brought you video of an Emirates Airbus A380 landing in a crosswind in Düsseldorf, Germany. Now we’ve got another Emirates A380 landing at the same airport, but this time filmed from the rear. Watch how much that enormous rudder pivots to align the massive jet with the runway.